Add Target to the list of retail and apparel companies that say they will commit to a supply chain that will only source sustainable cotton. The Minnesota-based retailer announcedyesterday that by 2020, it will only source cotton from sustainable sources for its national brands in apparel, home products and other goods. The company also posted an updated cotton sourcing policy on its web site. Five years may sound like an eternity to environmental and human rights activists who have long railed against cotton’s impact on people and the planet. But for a company with a complex supplier base such as Target, to accomplish this by 2022 is actually an ambitious time frame. “We have been actively working with and notifying our vendors about the policy to allow them enough time to prepare for upcoming sourcing changes and requirements. Our close collaboration with our vendors is critical to ensuring we are improving cotton growing conditions,” explained Target spokesperson Jenna Reck in an email exchange with TriplePundit. Target says it is still working on developing the framework by which it will determine what “sustainable” cotton actually means. Reck explained to 3p that the company has initially selected Better Cotton Initiative (BCI) and Organic and Cotton LEADS as their preferred cotton programs, as currently those programs best support Target’s definition of sustainable cotton. For Target to lean toward BCI for one of its sustainable cotton frameworks is a coup for that organization: when 3p interviewed BCI for a story in early 2016, the organization noted at the time that they had little contact, and had made almost no headway, with Target representatives. Lalit Toshniwal, a fabric engineer on Target’s product design team, outlined four major challenges with which Target wanted to partner with cotton producers: the fiber’s water footprint, the use of chemicals within cotton’s supply chain, soil health and ethical working conditions. Organizations such as Human Rights Watch have long been critical of cotton’s affect on people, from forced labor in Uzbekistan to working conditions in apparel factories across Bangladesh. The hurdle Target and its competitors face is that there is no global standard for evaluating and measuring what exactly sustainable cotton means. Some industry leaders on this front, such as VF Corporation’s Timberland, have committed to a hybrid approach that considers U.S-grown, organic and BCI cotton. Other apparel companies, including Adidas, focus on BCI cotton and regularly update stakeholders on what percentage of cotton with their supply chain comes from such producers. Target has not established a yearly goal in meeting its 2022 goal – nor would the company disclose what percentage of its products currently are made with sustainable cotton. “We will track and validate our progress over the next few years and report on it in our annual Corporate Social Responsibility report for guests and stakeholders to reference,” said Reck. 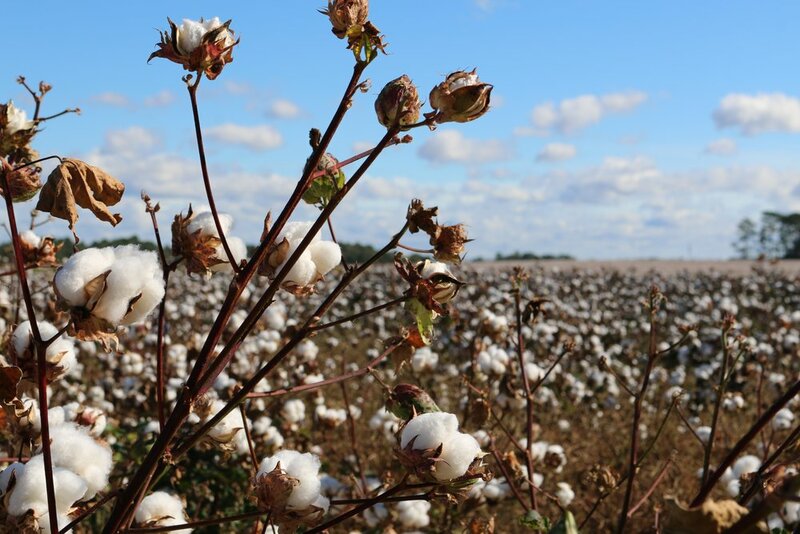 With Target now aboard the sustainable cotton train, the pressure will be on more garment manufacturers, brands and retailers to shift toward more responsible sources of cotton. Many companies, according to a recent report, are still lagging when it comes to both sourcing and transparency. But more firms are acknowledging the fact that the footprint leaves on workers and the environment is one too large to ignore. Gap Inc. announced earlier this year that its Gap-branded clothes will all be made from sustainable cotton by 2021. Wrangler, another VF brand, is also taking on the sustainable cotton challenge. Executives should not merely look at these moves from a financial lens; after all, as more consumers want to know how and where their products are made, there are opportunities to build trust and strengthen brand reputation.